Chinese Drywall Dev | John Vetter & Sons, Inc.
Re-active drywall better known as Chinese drywall is a product that was imported by a German company. It came into the country as early as 1998. 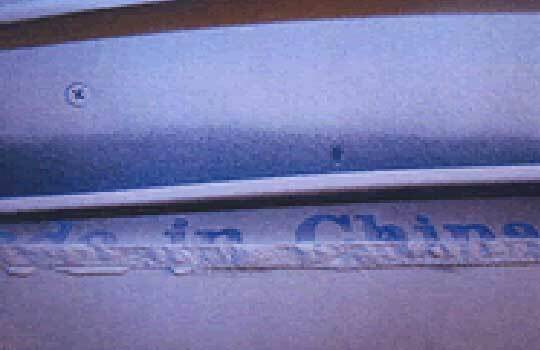 Most of the evidence found in Indian River County was in houses built in 2006. 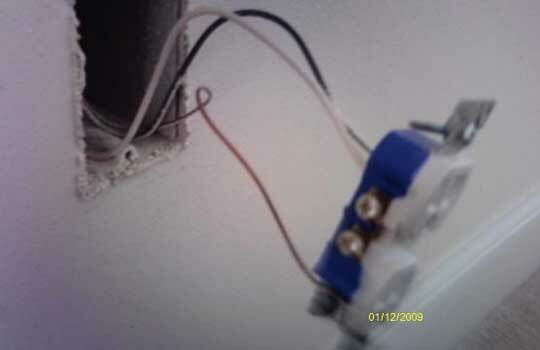 We offer a re-active drywall evidence report. Below are pictures of some of the results from our inspections. 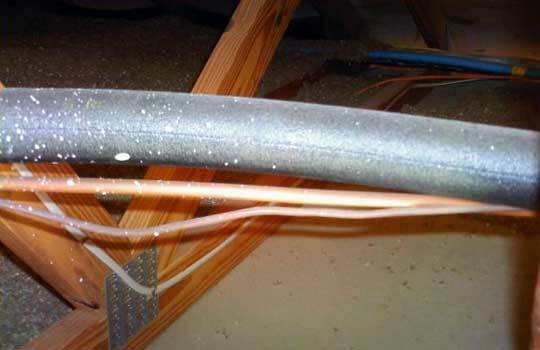 Picture of an exposed copper pipe (the one in the middle) in the attic of a house with Chinese drywall. No visible damage. This pipe was in the attic directly above the electric panel. House with Chinese drywall present. Notice the wires connecting to the shiny vertical bar forming a J, they are all darkened and coated with black powder. House built in 2006. 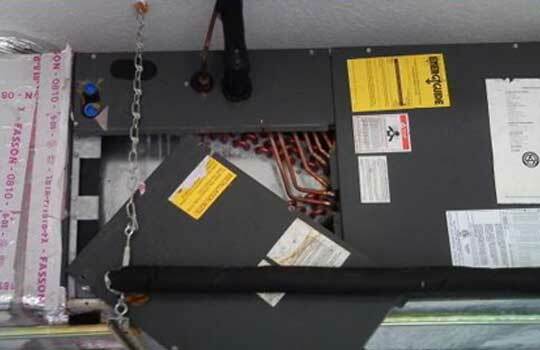 Air conditioner air handler. Notice copper pipes and copper coils. All the copper is darkened and covered with a black powdery substance. The steel frame shows advanced rust after 3 years. 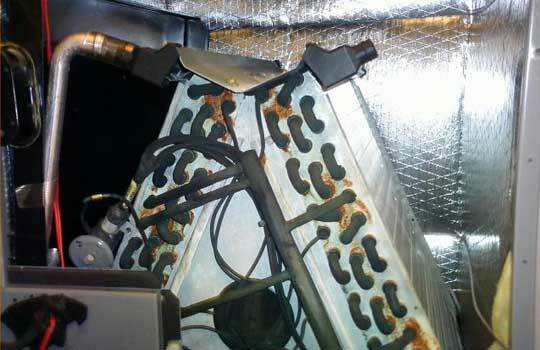 Air Handler 2005. Notice the copper, no darkening affects and the proper color. House built in 2006. 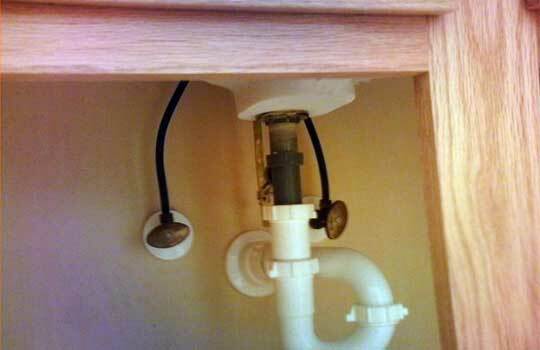 Vanity Sink with copper supply water lines. Copper is blackened and has black powdery substance on it. The water stops are turning color. Sometimes it’s possible to see where the drywall is manufactured. House with Chinese drywall. 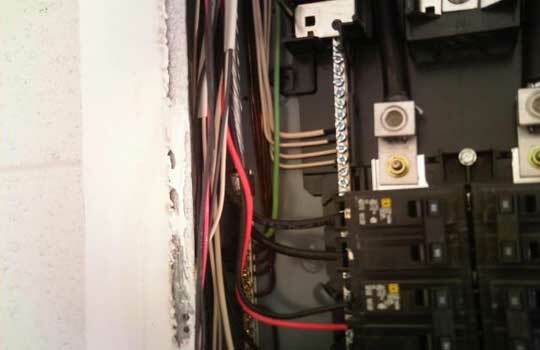 The black wire to the right is the bare ground wire, should be bright copper color. 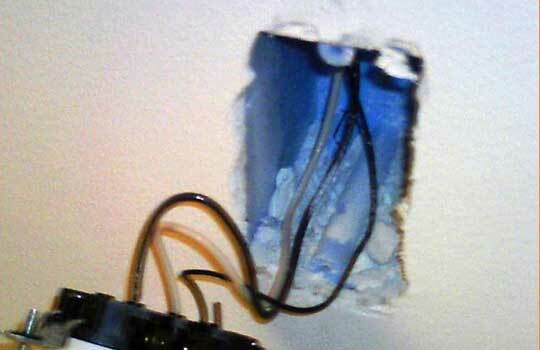 An outlet showing the ground wire the correct color, not darkened. No Chinese drywall present.